Tim Munday and his BAM! team are back – not in the ALMS, but in the Rolex Series. “I have taken over the running of the two Daytona Prototype Rileys for Brian Tuttle (Tuttle Team Racing ), car numbers 0 and 7,” explains Tim Munday. Brian Tuttle will still be joined by Frenchman Jonathan Cochet. 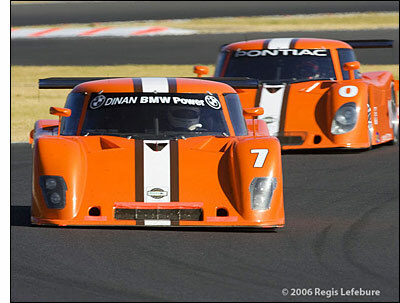 Tuttle typically has both Rileys present, and chooses which one to race – one has a BMW engine, the other a Pontiac (although he rented one to MSR at Mexico City, after Negri’s practice crash). Tuttle usually qualifies whichever car he races. "We destroyed one car (BMW Riley ) at Homestead due to a power steering failure on the banking, so for Long Beach we are running the second car ( Pontiac Riley ). The plan is to take both cars to the events, run both drivers in both cars in the testing sessions then decide which is the best car to race." Tim Munday and Peter Baron used to be partners in the original BAM! operation. The highlight of the team’s racing so far was the class victory at Le Mans last year (although entered as an AJR/BAM! Porsche). 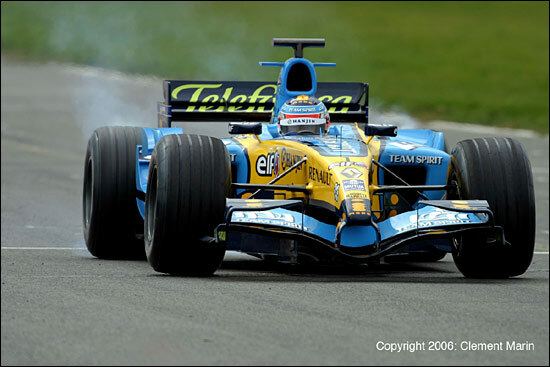 Meanwhile, Jonathan Cochet has been carrying out F1 testing for Renault - on March 31, at Silverstone (in a 2005 V10 car, below). Cochet will drive the F1 car on behalf of Renault at several World Series Renault races throughout Europe - as part of their F1 Roadshow exhibition programme. He’ll be back to a Riley at Long Beach this weekend.